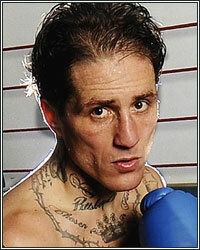 TEAM SPADAFORA TO MAYWEATHER: "WE'VE BEEN WAITING THREE MONTHS AND WE'RE STILL TALKING!" Recently on Fighthype, Floyd Mayweather Jr. broke his silence to address speculation regarding the state of his idle career. One rumor he addressed specifically regarded that of a comeback fight with former Lightweight champion Paul Spadafora, who seemingly got the better of Mayweather in a sparring incident ten years ago. Contrary to Mayweather's comment that he was unaware that Spadafora was still fighting, a person close to the information informed me that a representative of Mayweather's camp has indeed been in negotiations with Team Spadafora for quite some time. According to the source, although they're irritated with Mayweather's careless approach to the fight, Team Spadafora is still patiently waiting for him to make a decision. "We've been waiting three months and we're still talking, but we are not saying anything to ruin the fight," said the source. "Roger [Mayweather] thinks that Paul has nothing, but they're going to be in for a surprise. Floyd can't handle southpaws and that's why he's stalling." As indicated earlier in the year on FightHype, Spadafora has placed himself on a self-imposed gag-order since rumors of the potential fight have surfaced. All attempts to reach him for comment on the matter have failed. The now faint possibility of Mayweather fighting Spadafora quickly spread over the internet several months ago. If they were hoping to keep the fight a secret, the secret's been out for a while now as it's beyond me why Spadafora, who is looking at the payday of a lifetime, would sit idle in silence if there wasn't some truth to the story. We are right on cue for Mayweather to try and steal Pacquiao's thunder by making an announcement about his impending return to the ring. One would figure if the IRS is calling him for a $3.4 million tax penalty, that announcement is imminent. The Spadafora camp would love to help Floyd pay off his bills, but have stated very clearly that he'll have to work for every penny.